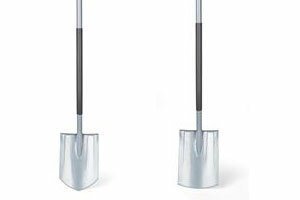 Every gardener needs a strong and durable spade for digging, breaking and moving soil around the garden. WOLF-Garten has launched two brand new spade designs for 2019 that have been specifically designed to deal with extreme loads and difficult tasks. The new Straight Spade and Pointed Spade are made from durable and long-lasting materials to provide years of hard work in the garden. Both feature a sharp baron steel blade, which has been induction-hardened for extra strength to easily penetrate tough surfaces, whilst stiffening ribs ensure the spades do not bend after prolonged use. On Sunday 12th May 2019 a community benefit project, will be launching across the UK. 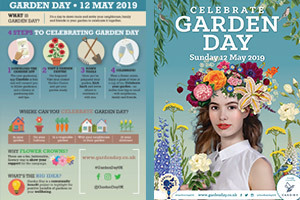 At the peak of the horticultural season, Garden Day - which originated in Somerset in 2017 - will encourage people nationwide to down tools and spend the day celebrating their gardens with friends, family and neighbours. 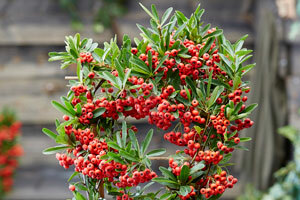 STAFF at one of the UK’s leading commercial nurseries are celebrating this week (Monday, April 1, 2019) after being granted the sale and propagation licence for an award-winning Pyracantha. Haskins in Ferndown has teamed up with Dorset Wildlife Trust to help protect Dorset’s precious wildlife. 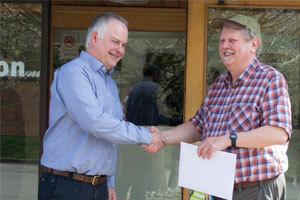 As a new supporter of the charity, Haskins will help promote a sustainable future for Dorset’s wildlife and people. 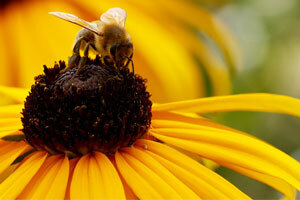 As part of its partnership, Haskins will be supporting Dorset Wildlife Trust’s ongoing campaign, ‘Get Dorset Buzzing.’ The charity’s campaign aims to encourage gardeners to make their garden a haven for wildlife, which is a perfect fit for Haskins Garden Centre as the centre also strives to inspire people to protect the wildlife in their garden. Haskins in Ferndown has signed up to be one of the selected venues for Dorset Wildlife Trust’s Facebook Live roadshow, promoting ‘Get Dorset Buzzing.’ Selected members of staff at Haskins will be interviewed as part of the charity’s live Q&A session, aiming to create positive outcomes for garden wildlife. Retail success stories seldom hit the headlines with the UK gripped by Brexit jitters – but the nation’s garden centres are riding on the crest of a wave. 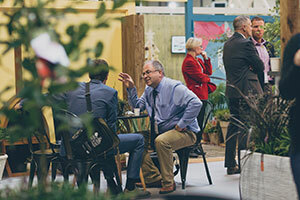 While Britain’s High Streets are facing economic headwinds that have seen big name retailers consigned to history, garden centres are bucking the trend and experiencing healthy levels of growth. The team behind the popular Willow Wand has unveiled its new self-contained trolley display units, perfect for helping retailers drive sales instore. Pre-loaded with 100 Willow Wands, in three sizes, the display unit has been designed to make it unbelievably easy for retailers to start selling; simply unload, wheel into position and let consumers take their pick. Based on a Euro-trolley design, the new Willow Wand display units serve as both secure transport, and also a superb eye-catching display with full point of sale materials to maximise sales. What’s more, the tiny 0.48m2 footprint offers significant profit potential, with featured stock offering an RRP of £1,500, supported by great profit margins. 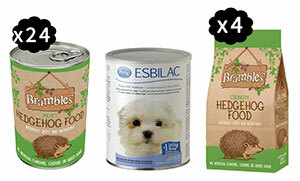 Brambles Pet and Wildlife are continuing to run Facebook giveaways where members of the public nominate their favourite wildlife rescue centre to be in with a chance of the rescue winning food and other essential supplies. Robin, who was an Amenity & Landscape Sales Executive at Wyevale Nurseries in Hereford, started working at the firm in October 1980. 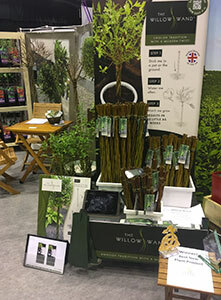 Andy Johnson, Managing Director of Wyevale Nurseries, said: “Robin has been an incredibly loyal and committed member of the sales team for nearly 40 years, with an encyclopaedic-like knowledge of plants, suppliers and the history of production methods. 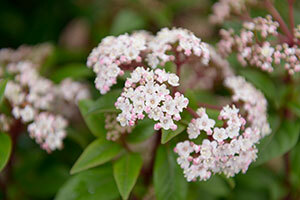 THE POSITIVE start to 2019 continued into February (2019) as garden centres across the country saw outdoor plant sales soar according to the Garden Centre Association’s (GCA) Barometer of Trade (BoT) report. 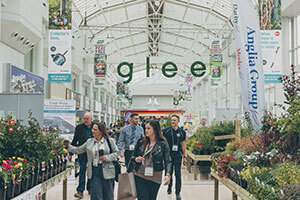 The beating heart of Glee, the Glee New Product Showcase provides a one-stop-shop for all the latest product innovations from around the show. Each year 11 products are selected as winners by a panel made up of leading industry figures and gardening experts. Six months have now passed since the 2018 winners were crowned, making it the perfect time to catch up with some of the brands to find out how the award has helped grow business, and to see what 2019 has in store. Read more about 2018 Glee New Product Winners – where are they now?